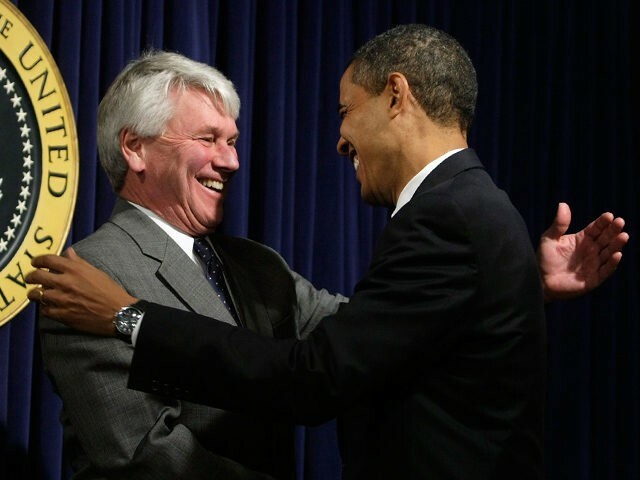 Greg Craig, former president Barack Obama's initial White House counsel, was indicted on Thursday by the U.S. Department of Justice. Mr. Craig is charged with making false statements and concealing material information about the legal work he did with Manafort for the Ukrainian government in 2012. The prominent Washington attorney has always been rumored to be the subject of a federal investigation resulting from the probe by special counsel Robert Mueller. Manafort had hired Skadden to prepare the report for the Ukraine Ministry of Justice that assessed the fairness of a trial of a former Ukrainian prime minister. The Justice Department later communicated with Craig about whether the members of the firm should have registered as foreign lobbyists, according to The Washington Post, which reviewed the correspondence. "I think we don't have to with this assignment, yes?" he wrote in a February 2012 email. At the time, prosecutors said the Skadden partner on the project made false and misleading statements to the Justice Department. After the initial inquiry into Craig and Skadden was opened by Mueller, Craig's case was referred to federal prosecutors in the Southern District of NY and then again to prosecutors in the US Attorney's office for the District of Columbia. Craig, who served as White House counsel in 2009 and 2010, is the first prominent Democrat to be ensnared in charges spun out of special counsel Robert Mueller's probe into Russian meddling in the 2016 election. If convicted, Mr. Craig could face up to five years in prison for each charge. Craig wasn't just a part of the Obama White House. Mueller previously alleged that former Trump 2016 campaign chair Paul Manafort conspired with various parties-foreign and domestic-to help Ukrainian authorities hide the fact that they paid in excess of $5.2 million for said report. In the indictment, prosecutors allege that a public-relations firm developed a strategy to roll out the Tymoshenko report. Craig's attorneys have said his work was done in his capacity "as an independent expert on the rule of law, not as an advocate for the client" and that he had refused requests to participate in Manafort's lobbying in Yanukovych's favor. Before Mueller wrapped up his investigation, a prosecutor from his team, Brandon Van Grack, shifted to a unit that's pursuing FARA matters, people familiar with the situation said at the time. A grand jury in Washington, D.C., returned an indictment on Thursday that included two charges, the Justice Department said. When the Justice Department determined that Craig should register under the law, the indictment says, Craig resisted the idea. It admitted it was paid $4.6 million for the report, and not the $12,000 the Ukrainian government said at the time.